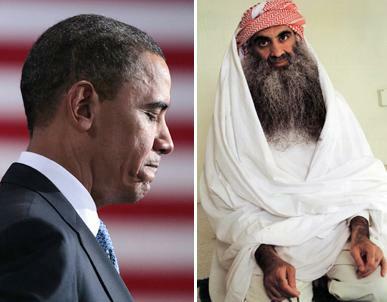 *President Obama’s egregious flip-flop on Khalid Sheik Mohammed-no civilian trial, but a military tribunal for the 9/11 planner-is a glaring example of our political cowardice. It also hands al Qaeda a victory, says The Daily Beast’s Paul Campos. He says there isn’t a shred of evidence that our criminal courts can’t achieve something very close to a 100 percent conviction rate for people who have been charged with terrorism-related crimes, a category so broadly defined under federal law that it includes such things as giving any financial support to any group that has been classified as a terrorist organization. Read Campos’ full story at the Daily Beast. Previous ArticleAsk Tamara: So Many People Have Let Me Down!